How can you not love every single Frank Henenlotter masterpiece? From the ridiculously demented Basket Case trilogy, to the almost ethereal head trips in Brain Damage woven with a shoestring budget? Not to mention Frankenhooker has one of the coolest vhs covers ever. The button on the front, when pressed, screams the iconic line ‘Wanna Date’ that will haunt you for the rest of your life–after you watch the movie, of course. Seriously, though, I’m not gonna lie. This is Weird Science meets Jack the Ripper. It’s Frankenstein meets Valley Girl. It’s just fun. James Lorinz (the poor man’s Andrew McCarthy) isn’t the greatest actor ever, but I have yet to see a movie where he wasn’t absolutely charming with his silly characters and over the top screen roles. Patty Mullen is just as great (and I can’t recommend Doom Asylum enough if Frankenhooker grabs your attention). Start October off right with Frankenhooker, and maybe finish it off with Slime City if you’ve got a strong stomach, but do not pass this movie up! How best to describe Paul Naschy? Was he Lon Chaney with the face of John Saxon? Was he the Vincent Price of Spain? To tell you the truth, Paul Naschy was one of a kind. Actor, director, screenwriter, and even sometimes producer. He wore every mask at one point or another, and played ever role, from Wolfman to Frankenstein, to Dracula, and even Satan himself. Where Lon Chaney Jr played the American Wolfman, Naschy’s Casanova version of the role practically chewed the scenery. No matter the quality of a film, the poor dubbing, or awful edited versions that have been butchered a hundred times for American audiences, there’s no denying how compelling Naschy still is in those films. He was just that good. He was also known to be a fantastic, down-to-earth kind of person, too, which goes a long way in my book for any major star. Shout Factory just released some epic collections of Naschy films I’d like to get my hands on, having settled for some of those more questionable releases I’ve mentioned, and it was about time too. I couldn’t resist ending on this fantastic tribute video I found. I hope some day more of the world will really come to appreciate this brilliant man. Oh, and by the way, happy halloween! I think it’s fair to say I am a HUGE puppet/muppet fan. I just love them. 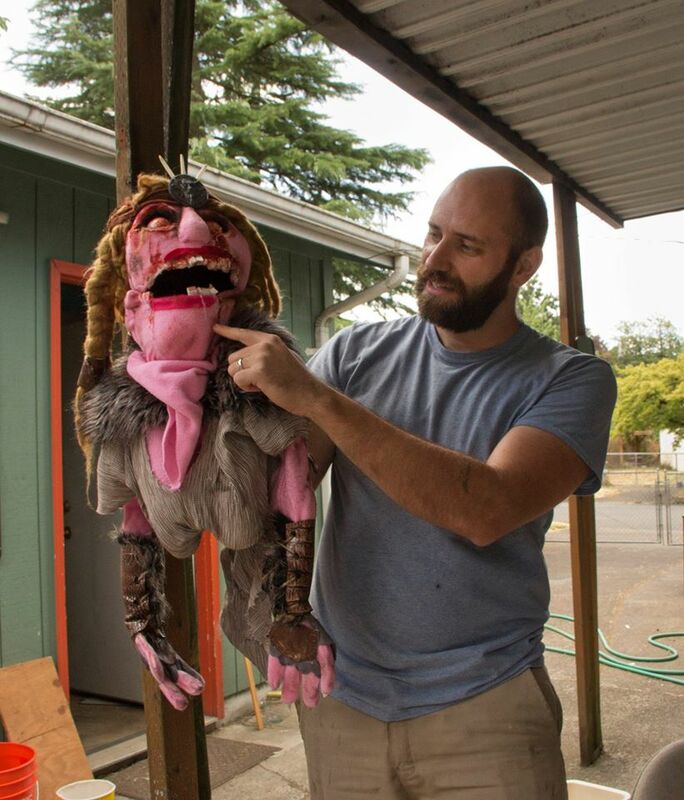 Some day when I find the time, buy the materials, and have enough friends interested in the project, I’d like to make a horror anthology series using only muppets…but until then, I’ll just keep watching awesome muppet-puppet films…and also suggesting you check out this INCREDIBLE kickstarter. This is seriously one of the BEST-LOOKING kickstarter projects I’ve ever seen, and my heart will ultimately be torn to pieces…in a bad way…if it doesn’t happen. For more information about this epic movie…please check it out on kickstarter, and definitely consider helping them make it a reality. 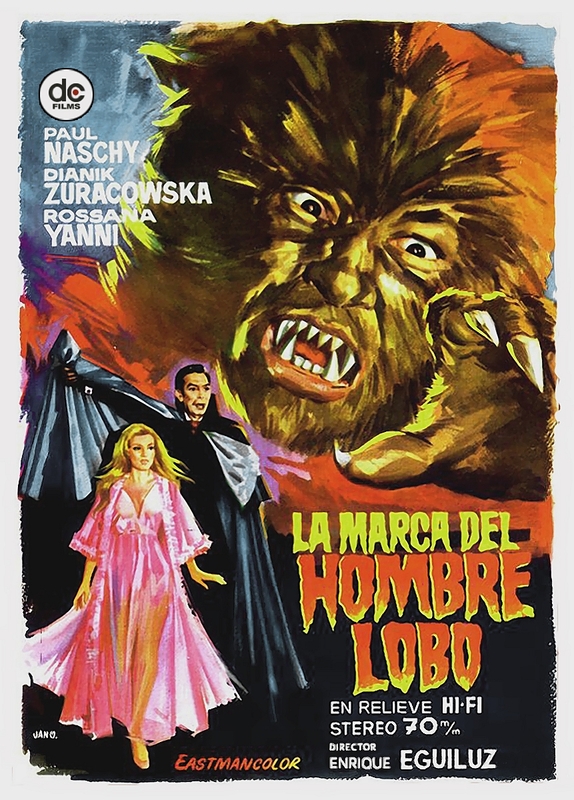 It was about time I got around to featuring a Paul Naschy movie (I might even feature him in the near future), and what better movie to suggest than the first of his many…many…werewolf movies: La Marca del Hombre-lobo, aka (in the USA) Frankenstein’s Bloody Terror! One of the many victims of really crappy dubbing and inappropriate cutting for American audiences, I’d suggest just getting a hold of the original Spanish language version and watching it with subtitles. There isn’t even a Frankenstein monster in the movie…until we got our hands on it. Then we threw this little bit in there…solely to attach this movie as a double feature to an actual Frankenstein movie. Bitching about cinema massacres aside, ‘La Marca del Hombre-lobo’ is a pretty fun little ride. Dramatic shots with plenty of gaudy lighting. A fancy costume party. Make-up reminiscent of the Wolfman, perhaps if he let his mane grow out…clearly it would influence the designs for Game of Werewolves…I could go on for ages. Honestly, until I watched this, I thought the twist in the Wolfman remake was a bit…odd. Particularly where the curse originated, but once I saw La Marca, I realized it was a reference to this movie, making Benicio’s film a combination of the original Wolfman and essentially the Spanish one. Bottom line, Naschy is just a fantastic actor. Even if the movies he was in weren’t always as good as him, he was great onscreen. That’s why this week’s featured film is La Marca del Hombre-lobo/Frankenstein’s Bloody Terror/The Mark of the Wolfman/The Vampire of Dr. Dracula/The Werewolf’s Mark/Les vampires du Dr. Dracula/Hell’s Creatures/O horos ton vrykolakon/Le notti de Satana/Etc. Etc. There are so many titles for this movie, by the time you’re done reading the list, you forget the plot. I don’t know if you guys have gathered yet, but there’s one thing Julianne/Maddy/Chris all have in common. They like funny stuff. With that in mind, we all agreed horror comedies would be an awesome topic this episode. The movies we tackle this episode are three incredible classics: Young Frankenstein, Club Dread, and Tucker & Dale Vs Evil. Listen to our latest podcast episode here!